From promoting their services and soliciting talent for their many divisions, AT&T®, the leader in telecommunications, often has a presence on college campuses across the country. 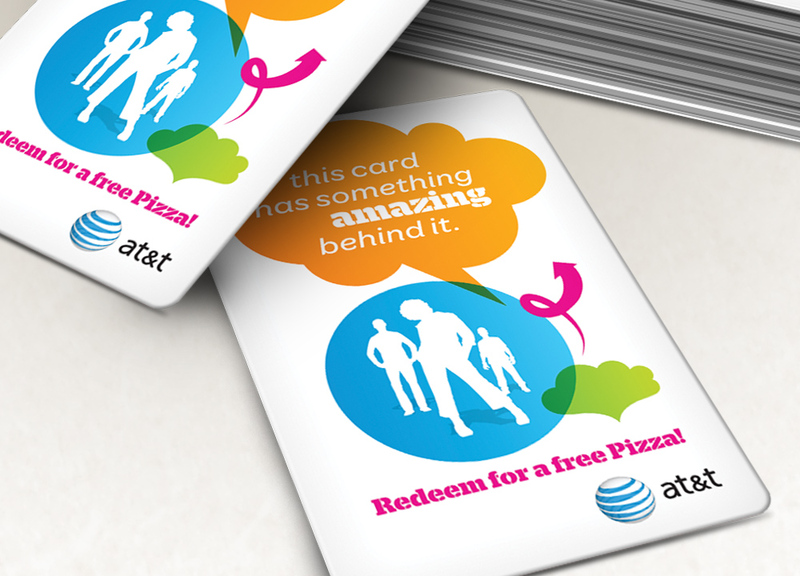 They were looking for a fun giveaway item for street teams to hand out at campus and community events, and it needed to be something college students across the country would value. It also had to be something that was easy to transport, store, and distribute. 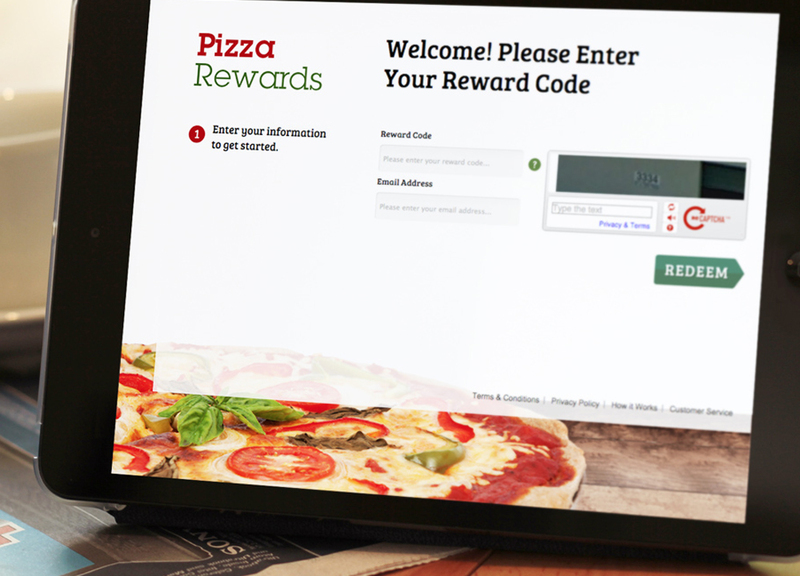 Custom branded Pizza Reward Cards were a great fit since they gave recipients access to a pizza of their choice from major nationwide chains like Domino's®, Pizza Hut®, Papa John's®, and more, so it worked whether the college was on the East Coast, the West Coast, or anywhere in between. Plus, lightweight cards are so flexible that it was easy and affordable to ship cards in advance for larger events or to place in a rep's luggage for smaller gatherings and rallies.